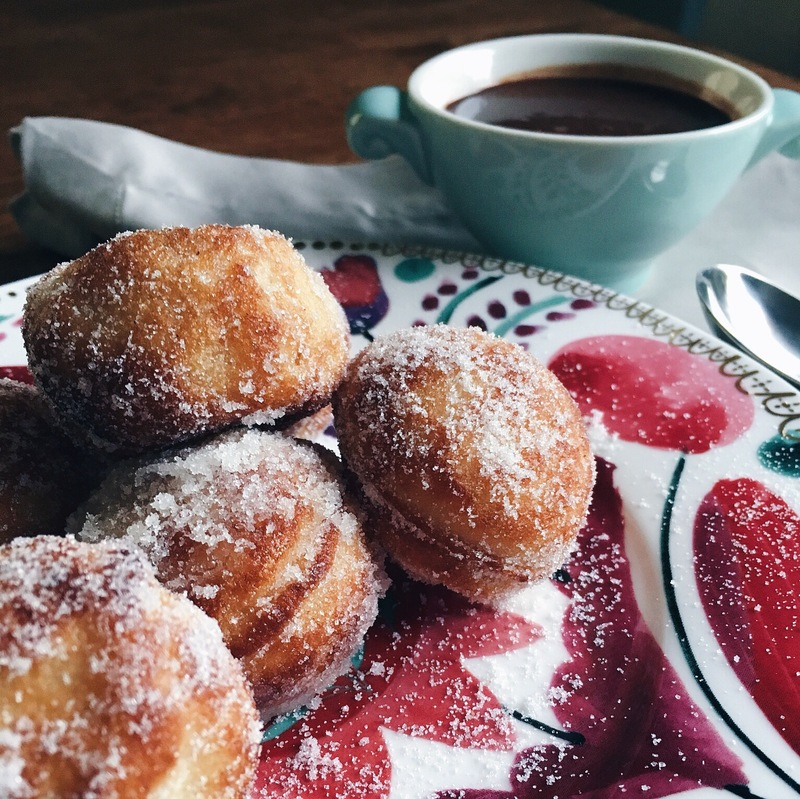 Coated in sugar and dipped in chocolate is what any sweet treat should be about. 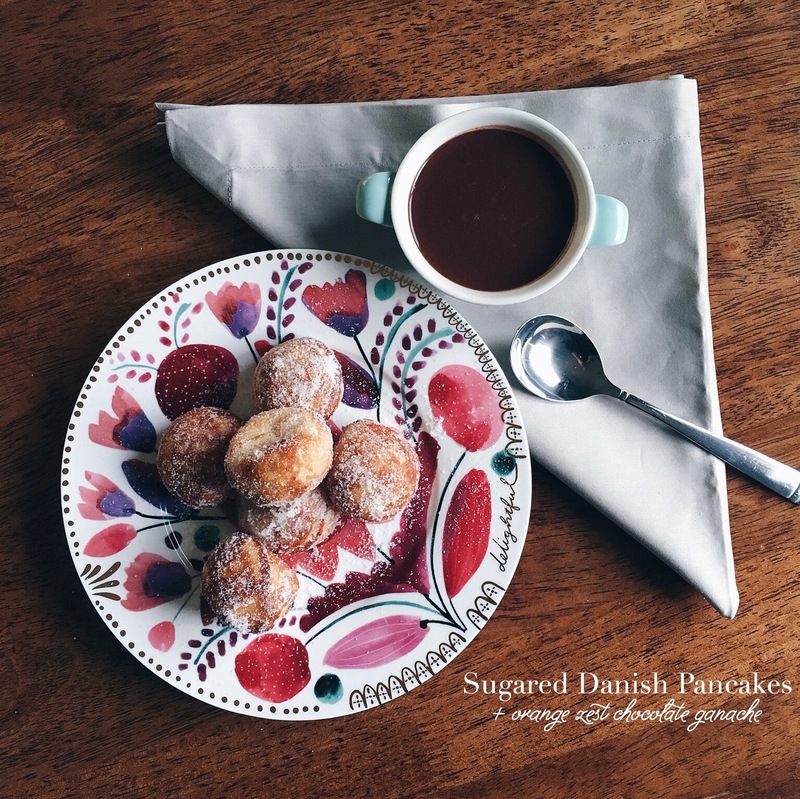 These decadent Sugared Danish Pancakes and Orange Zest Chocolate Ganache would make any day feel as special as Valentines day. The best part is they’re both so easy to make! The Danish Pancakes are a Trader Joe’s frozen find (thanks to my friend Sammy for the recommendation! ), rolled in sugar and they’re basically semi-homemade. 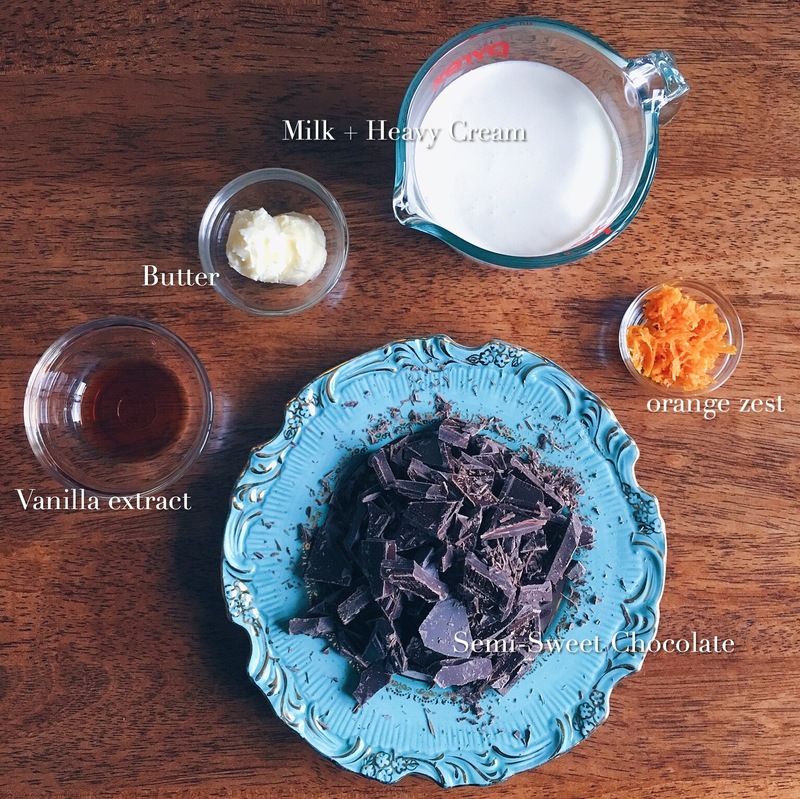 😉 The chocolate ganache is warm, chocolatey, rich, and is perfectly complimented by the orange zest. Put these two together and you’ll be in sugary sweet heaven. Eric and I will definitely be enjoying these on Valentines day! This is our 12th Valentines day together, and we’re keeping it pretty relaxed this year. When we were dating we would always go out to dinner, and the older we got and once Eric had his own place and now that we’re married we like to stay home and make a special dinner together. This weekend we went out for a fun date night on Friday and came home to watch a movie, Saturday we made a pizza, and Sunday we plan to relax and have a homemade brunch and then make a steak dinner at home. To me this is the perfect weekend, we get to hang, get things done around the house and get in some good R&R. 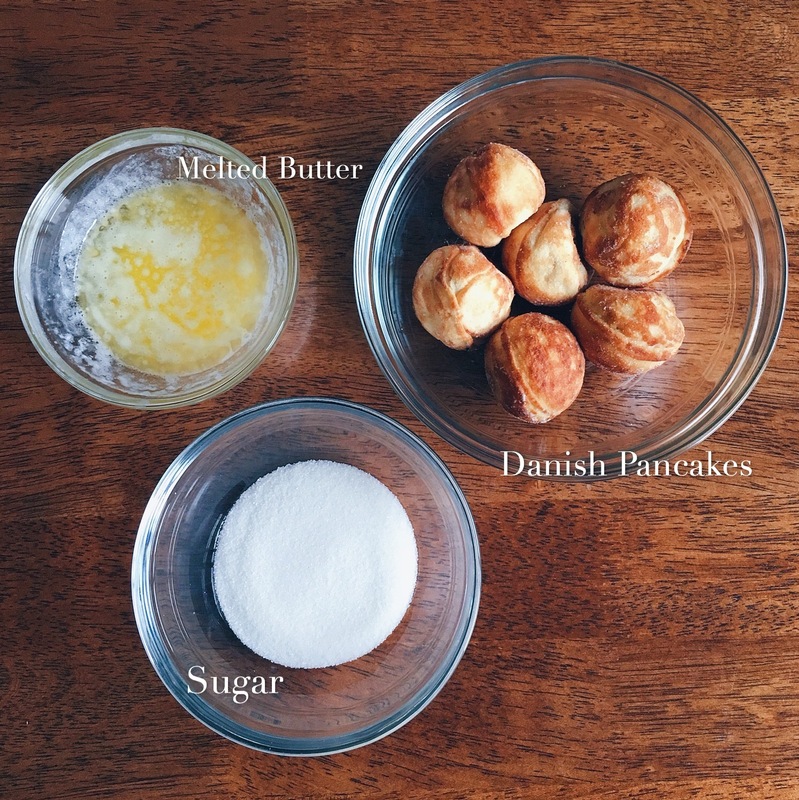 …and here are the ingredients for the Sugared Danish Pancakes. The milk and heavy cream are combined and brought to a gentle simmer, once they reach that point it’s removed from the heat and the chocolate goes in. It gets melty and stirred together creating a rich sauce and is topped off with a little butter for silkiness, and vanilla extract and orange zest for extra fun. 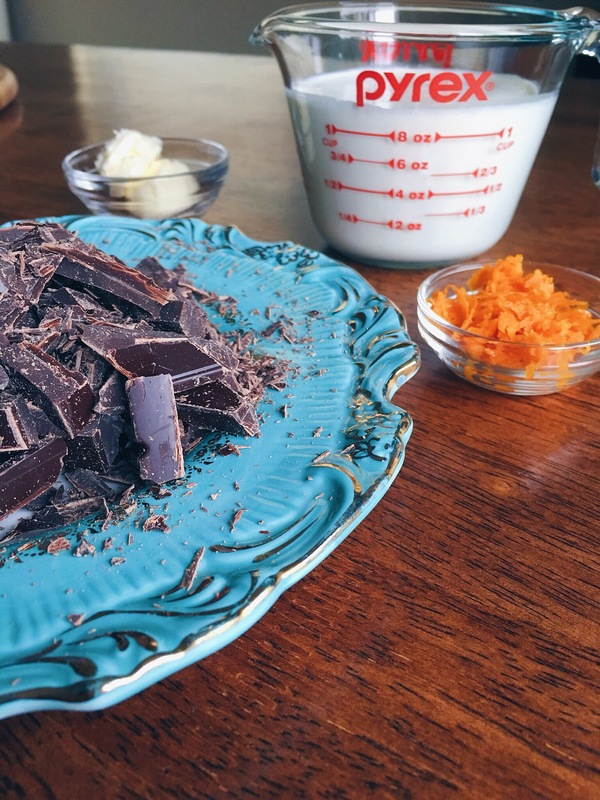 The chocolate ganache makes a little over a cup and is great to use as a chocolate dip, or poured on top of ice cream, cakes, fruit…basically anything you want! 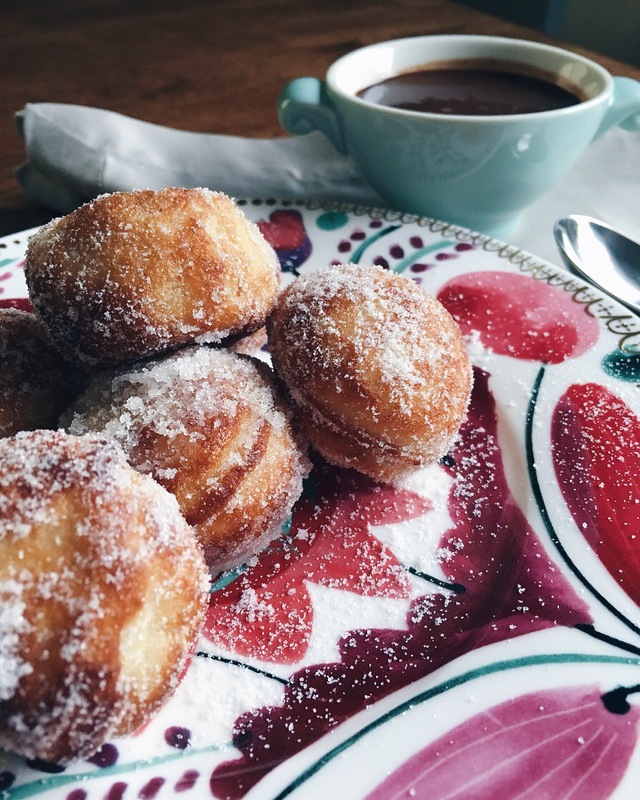 Make these for yourself, your love, your mom, or your best gal-pals for a sweetest treat and you’ll all be seeing with heart eyes! Heat up as many danish pancakes as desired per the package instructions. Once heated, immediately roll them in the sugar. For even an even richer sugared pancake, quickly dunk them in melted butter and then roll them in sugar. * Serve immediately. *The ganache can be stored in an airtight container for up to a week in the fridge. *I tried dunking the pancakes in butter and not dunking in butter before rolling in the sugar and they were delicious either way! If not dunking in butter the sugar will still stick to the outside when the pancakes are freshly warmed. Thanks for stopping by! Hope you enjoyed this post.